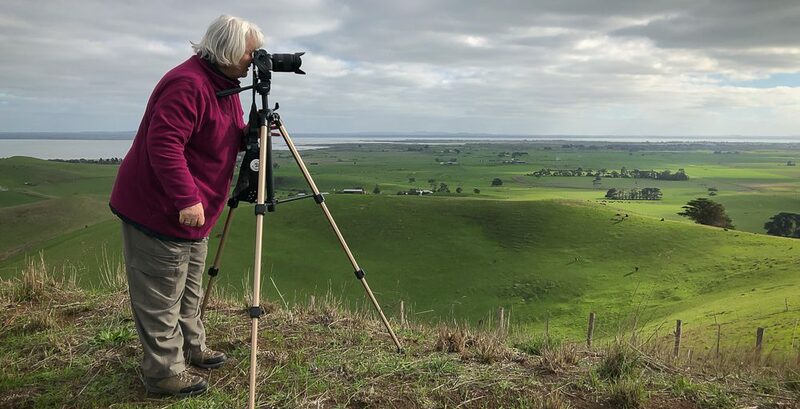 The aim of this travel and photography adventure was to visit my husband’s brother and his family for a couple of days on their small farm in Bruthen. During our journey back home to Melbourne, I managed to capture some landscape scenes around the ‘Toorongo Falls Reserve’ situated within the Cardina Shire, north of the town of Noojee, Victoria – Australia. The reserve’s flora and fauna “comprises of mostly wet forest types with the most common over-storey and mid-storey species being Mountain Grey Gum, Mountain Ash, Manna Gum, Blackwood and Austral Mulberry. A variety of ferns thrive in the damp conditions including the Necklace Fern, Soft Tree Fern, and the Long Fork-fern” (Dept. of Sustainability & Environment Vic 2004). We managed to discover the Toorongo river which weaves its way through this beautiful part of Victoria. My daughter and husband tried to do a bit of fishing – but with no luck! But it didn’t matter, the joy of just being there to experiencing the natural surroundings was reward enough for us all. This part of the Toorongo Valley Road is very picturesque! On one side of the road, in the distance, there are mountains covered in lush green bush; and in the foreground, fenced off grass paddocks lay. On the other side – mighty tall gum trees and lush green tree ferns straddle the Toorongo River. It was mid afternoon when I took these photographs below and the sunlight reflecting off the gum tree trunks was magical. 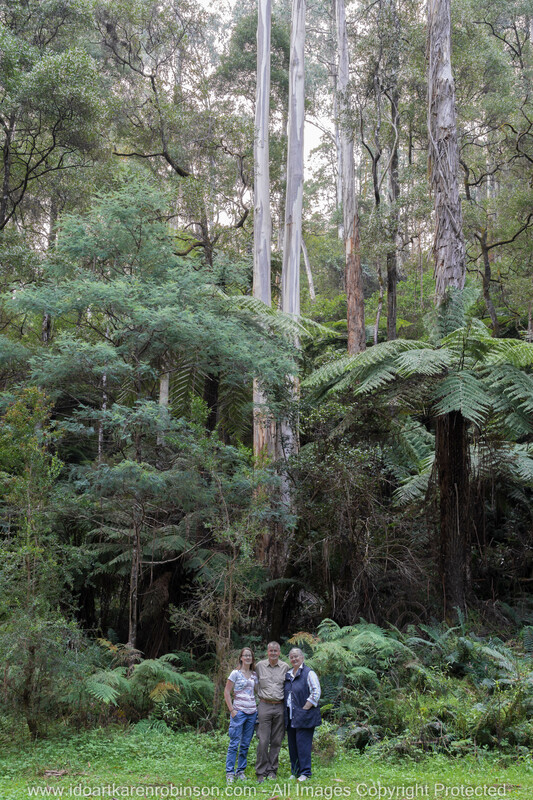 In one of the photos below, you can see the back of my daughter standing between two sets of tall gum trees. She is actually fishing in the Toorongo River which is well hidden by tree ferns. This part of the ‘Toorongo Falls Reserve’ supports a variety of Gum trees that seemed to almost reach the heavens. 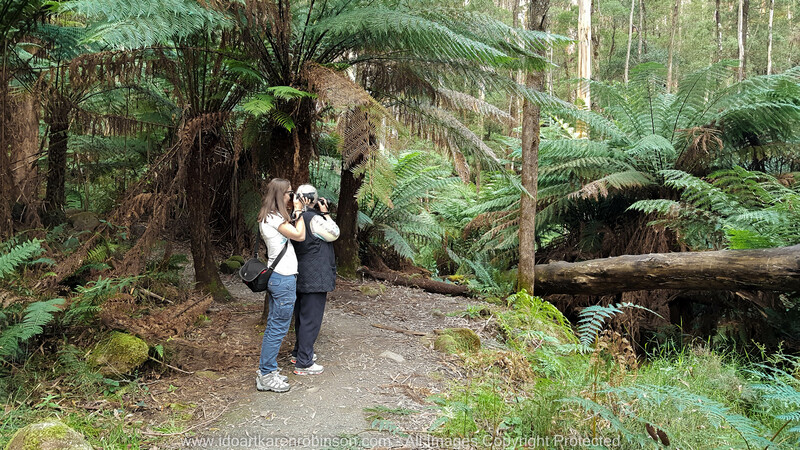 We saw the largest tree ferns that we have ever seen – happily growing alongside of the Toorongo River. The sun seeped through and hit the tall lanky gum tree trunks which then seemed to radiant a golden glow! Such a beautiful river with its fast-moving fresh water, huge moss-covered boulders which invariably helps to support all forms of wildlife and natural vegetation within this region. The lighting was soft as the sunlight at this time of the day couldn’t reach down into this part of the bush and therefore gave me the opportunity to take photographs where this soft lighting really showcased its natural wonders! On my return home, I downloaded all the photographs into Adobe Lightroom 6. I developed a small selection of photographs. During the process of developing them I was able to see what I needed to address during my next photographic adventure. Please find both above and below the best of what I took during this visit Toorongo Falls Reserve, Victoria – Australia. 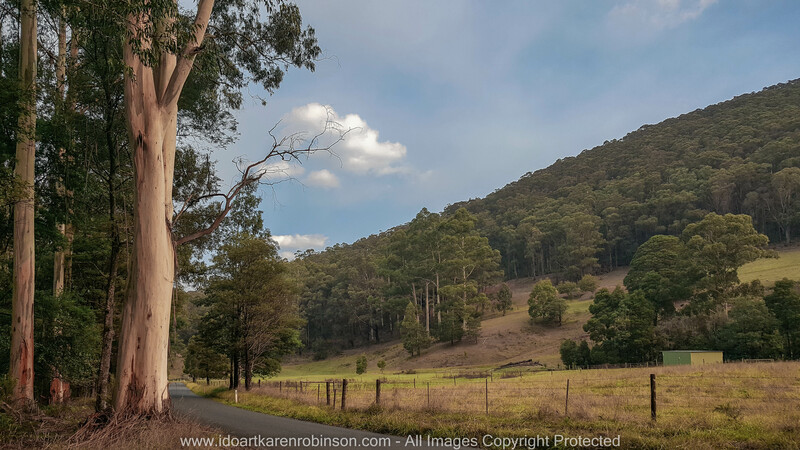 This entry was posted in Photography and tagged Adobe Lightroom 6, Bush Tracks, Farmlands, Gum Trees, idoartkarenrobinson, Karen Robinson, Landscape Photography, Samsung Galaxy S6 Mobile Phone, Sony A FE24-240mm F3.5-6.3 oss Lense, Sony A7 Mark II Camera, Sunsets, Toorongo Falls Reserve, Toorongo River, Tree Ferns by idoartkarenrobinson. Bookmark the permalink.